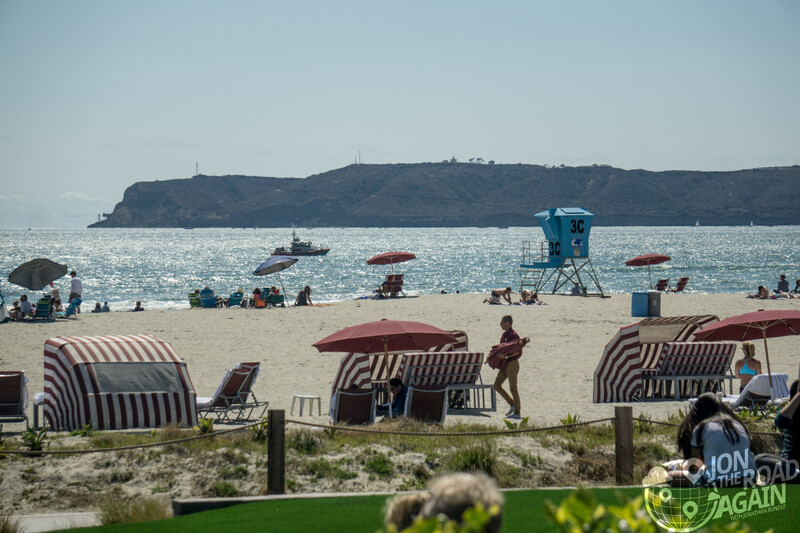 We’ve seen a lot of interesting buildings on our trip to San Diego so far, but there is no more iconic building here than the famed Hotel del Coronado on Coronado Beach. 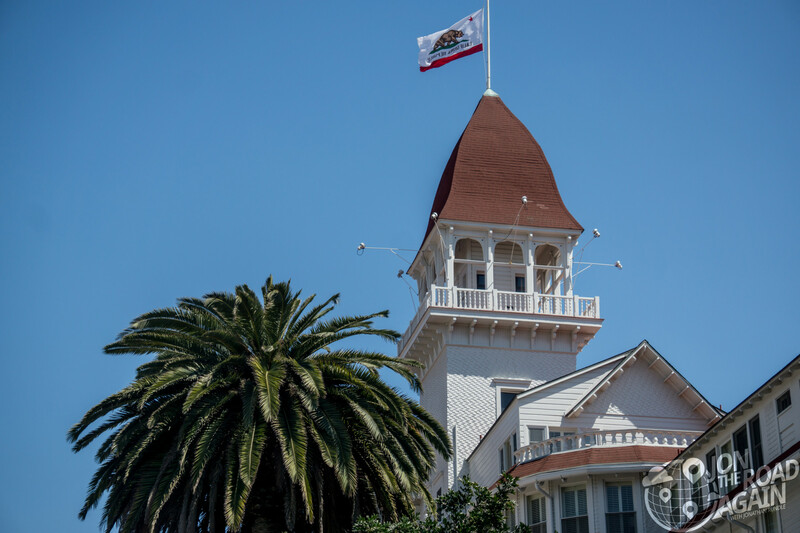 Built way back in 1888, this wooden resort (the second largest wooden structure in the United States) was built as a destination for developers. The idea by the builders was to develop this mostly barren area with a resort hotel and draw visitors and developers to the surrounding land (which they owned). 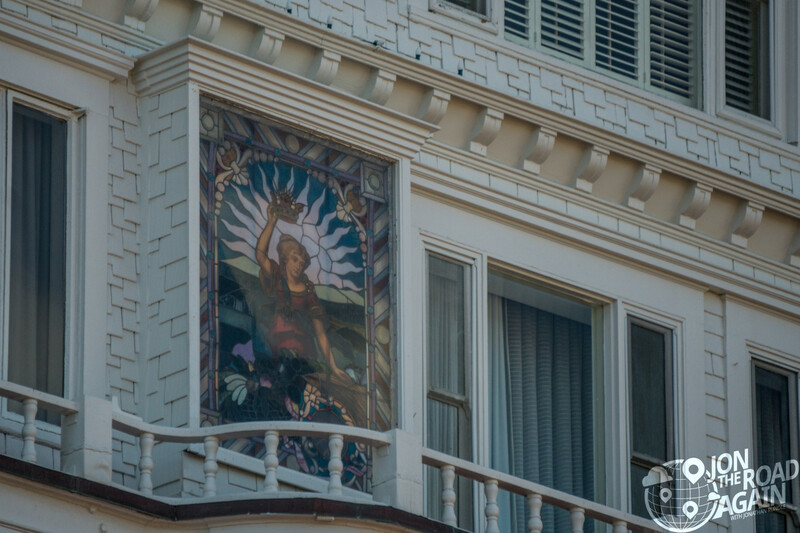 Architect James W. Reid designed the hotel, but the work of completing it relied on the backs of Chinese labor. 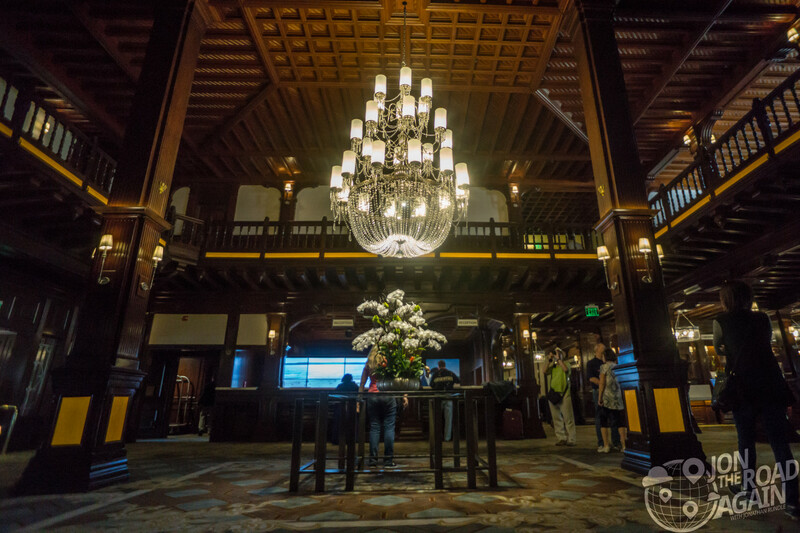 The times have certainly changed – the hotel was sold to a Chinese insurance company as part of a 15-property $6.5 billion deal in early 2016. 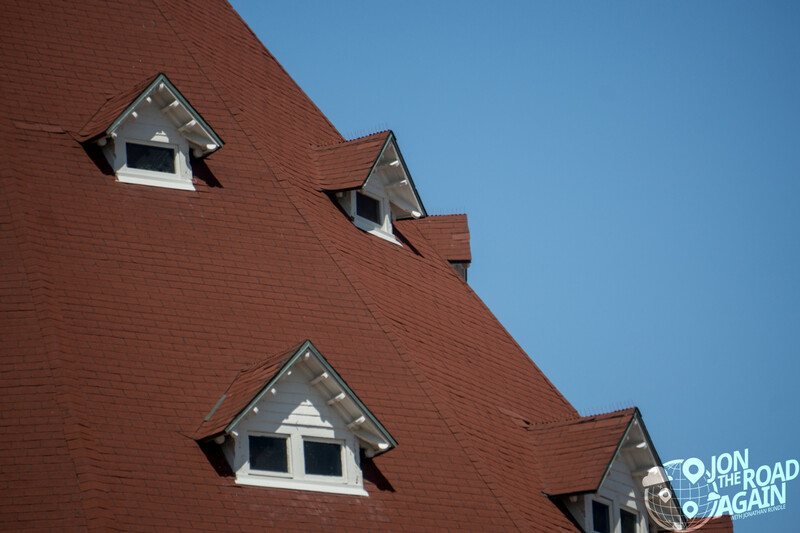 In addition to that brick red roof, the rounda, “turret” and dormers are the main architectural stand-outs. 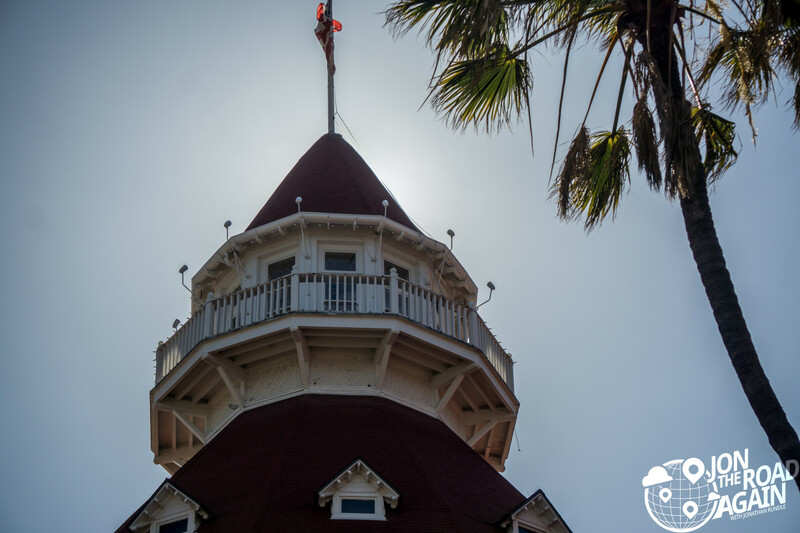 Almost ten stories tall, The Del’s turret is featured on navigation charts and has served as a nautical and aeronautical landmark for decades. They lowered the rotunda’s ceiling later on, so the interior ballroom does not go all the way to the top of the turret. 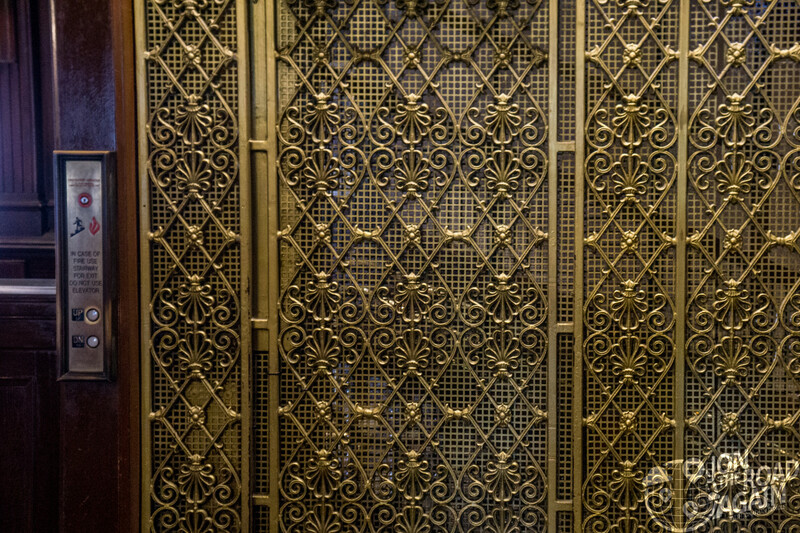 In the lobby, the elevator is also original to the building. It’s ornamental metal screen caught my lens. 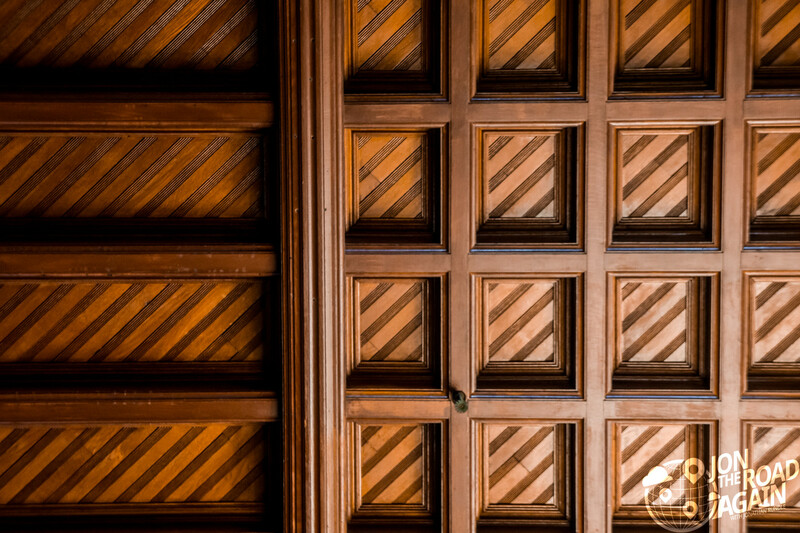 Wood, of course, is featured throughout the building. Surprisingly, no nails were used in the intricate ceilings. 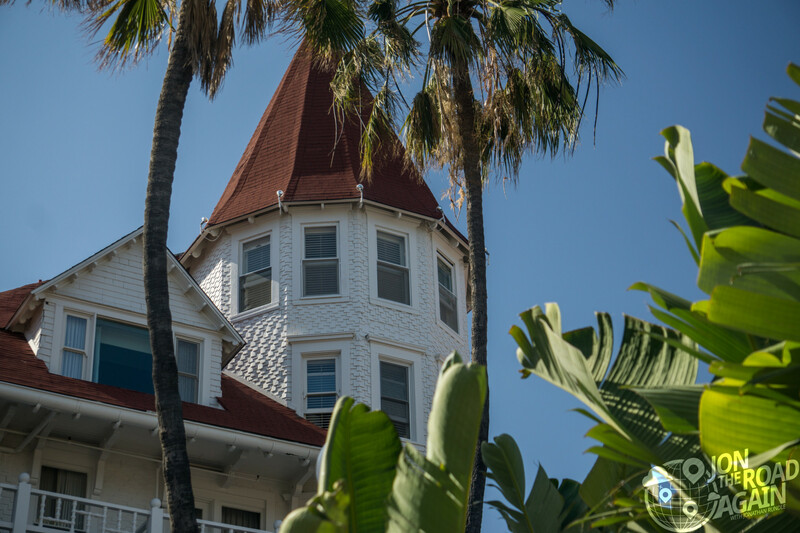 If you want beachfront accommodations in San Diego, you can’t do much better than the Hotel del Coronado. Of course it’s expensive, which is why we stayed in an Airbnb and just came here for sun and drinks!